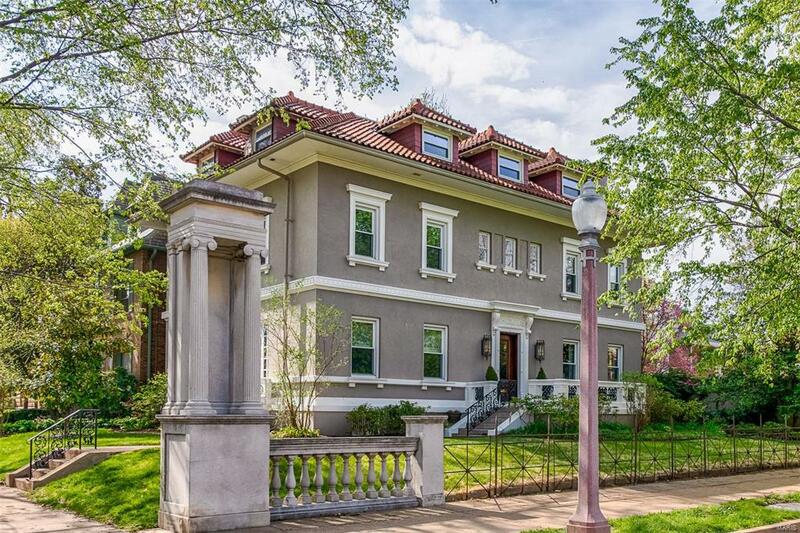 Magnificent 1909 Central West End home designed by George W. Hellmuth. This historic residence exudes old-world charm while containing modern amenities. Enjoyable distance to Forest Park, Maryland Plaza coffee shops and restaurants and Metrolink. The chef’s kitchen includes a 6-burner gas range with double ovens, granite countertops, eat-in kitchen with center island and butler’s pantry. Phillip Jeffries grasscloth wallcoverings accent the elegant dining room. Off the master bedroom you’ll find a spacious walk-in closet. Look for Roman travertine marble in the master bath along with radiant-heated floors. The 3rd floor is a spacious 2-bedroom apartment with kitchen, full bath, washer/dryer and its own separate entrance. Relax by the in-ground Pebble-Tec pool. Oversized 2-car garage with updated electric for your Tesla or other electric vehicle. Living Area: 6,007 Sq. Ft.